The Slumberjack in-season 2 person tent is a great addition to a mountain hunter’s tools. Hunting, hiking and camping get you caught in all kinds of crazy situations and crazy weather. For those who love the outdoors, there is no season that can’t be spent outside and for times like these you need a tent that can handle all weather. The Slumberjack In-Season 2 person tent is a great addition to your camping arsenal and will not limit you by a season or weather. The interior of the SJK in-season tent is comfortable and durable. 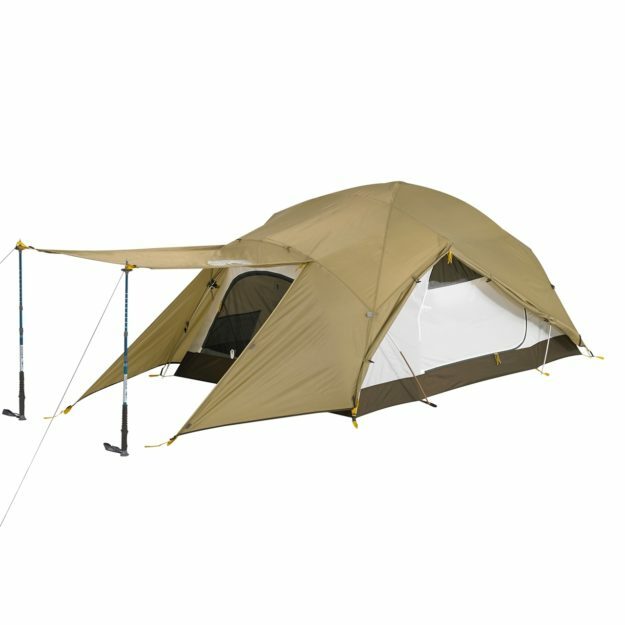 SJK’s In-Season 2 Tent is a two person tent that weighs in at only 7 pounds, 5 ounces. It can be compactly packed up to be carried into the mountains or easily thrown into the back of your truck for a short camping trip. This tent features three doors and three vestibules. It has full coverage for rain and even has a waterproof fly that will ensure that you’re dry. One issue that most Western campers have is a tent that can withstand strong winds. The SJK In-Season 2 person tent can certainly hold it’s own and has a lot of ventilation options so that you can manage the condensation and get some air moving. For those who are serious about tough gear, this tent will not let you down. Another nice feature of the In-Person tent is that it can be pitched out to include a shaded porch or storage area. I do not like to put wet boots inside a tent, so this is the perfect solution for that. The architecture of the tent is a 5-pole structure and is tall enough for most to stand up comfortably. 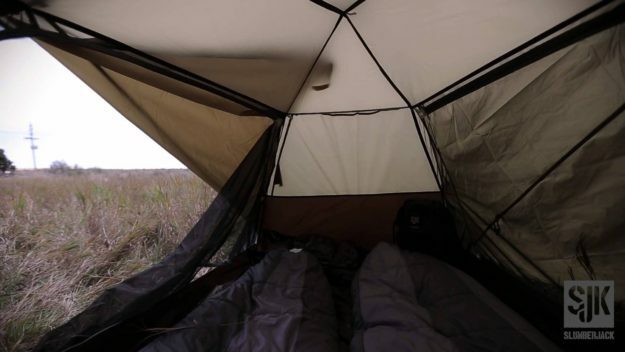 Check out the Slumberjack In-Season 2 Person Tent on the SJK website here for only $269. If you’re interested in more SJK backcountry hunting products, you should see these serious hunting packs.